Onyx was always a part of interior decoration in Persian Era. With its flesh tone color, onyx can be said to resemble a fingernail. 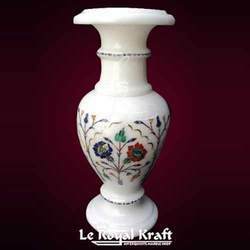 Agarwal craft Palace presents real onyx Big vase for you. We are ranked amongst the trusted firms engaged in providing a wide range of Inlay Stone Flower Pot. Designer Marble Flower Vase, Size: 3.5"/3.5"/6"
Beautiful Flower vases With Carved Work. 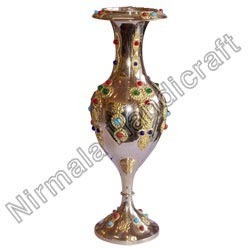 We offer high quality of Mother Of Pearl Flower Vase.